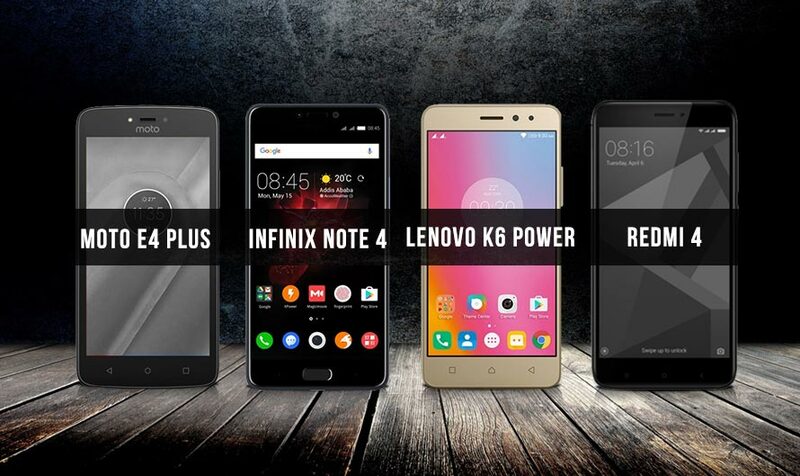 Infinix Note 4 versus the competition in the market! Flipkart has announced the launch of the Infinix Note 4 and the Infinix Note 4 release date in India has been announced too. The phone is scheduled to be available for sale from the 3rd of August. The phone has been launched with 2 variants. Both of which aims to be an able contender the low-end smartphones under 10000 category. Mobiles under 10000 is one of the most fierce categories, for, every manufacturer looks to set their strong hold in this segment. The current strong players are the renowned Moto E4 Plus, Redmi 4, and the Lenovo K6 Power. The Hong Kong based manufacturer is now looking to penetrate this tight sphere with the Infinix Hot 4 Pro and the Infinix Note 4. The HongKong based manufacturer Infinix, has released the Infinix Note 4 with the technical advancements that one would expect of a new player who is looking to make a mark. Specs like a 1.3GHz processor, 3GB RAM, 32GB internal storage, expandable memory, fingerprint scanner, Long lasting battery, impeccable design and a sturdy build are few of the many things that the Infinix Note 4 will stand out for. But, are these enough to make it the best? 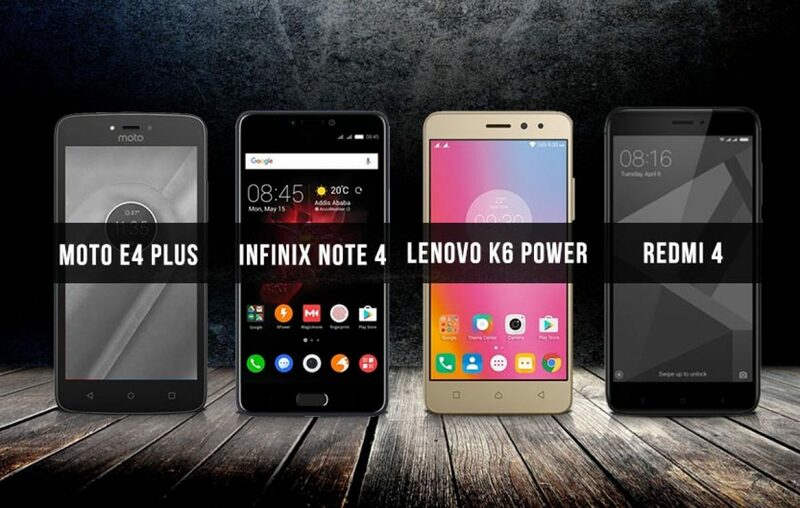 Does the Infinix Note 4 have what it takes to beat the Moto E4 Plus, Lenovo K6 Power, Redmi 4, and the Nokia 3? Don’t beat your brains yet. We have done the math for you and have come up with a solution. All you have to do is get a bucket of popcorn, a glass of water and read on. The listed competitors are smartphones that have been around. More than often you would find one of these mobiles among your peers, friends, and neighbors. They have all taken the test of time and the wrath of competition and stood victorious. Haven’t they. The Infinix Note 4 have RAM, internal storage, Primary camera specs, in common but what they majorly differ is on the screen size, processor, Battery capacity, Display resolution, and secondary camera. Here we see how the Infinix Note 4 outperforms in a few segments and falls behind in a few. But again, we all know that every smartphone is different just like how every smartphone user is different. The requirements are different and so the expectations. The Infinix Note 4 beats the Moto E4 Plus in terms of Processing capabilities and display configuration yet falls behind when competing with its massive 5ooo mAh battery. The Redmi 4 stands as an able contender by fiercely putting a show with its 2GHz processor and 13MP camera, however, falls behind in RAM as the new kid in the block has 3GB RAM to show off along with a larger 4300 mAh battery. The Lenovo K6 Power is the oldest kid in the block and is hence on its way to moving out from the list of able contenders in mobiles under 10000 category. Yet, it only falls behind by coming up with a 5-inch screen. If you are looking for a phone that is endowed as well as the Infinix Note 4, but with a smaller screen. Then, the Lenovo K6 Power might be a good fit. we’ve seen the gladiators of this arena give their best. Their clashed metal and mettle to stand out victorious. While a few stood for longer hours, few looked longer. Every one of them displayed value for money, the brand value they bring to the table and more importantly something new. The victor among these will be the Infinix Note 4 for it has the best processor, high RAM, larger display with a clearer display output, 32GB internal storage along with an option to go on till 128GB and is priced under 10000. The Infinix Note 4 is a new launch coming from the house of Infinix. The Note 4 features all the technical advancements that a smartphone under 10000 should pocess to become a leader in the segment. If you disagree to this or have a better fit for the list. Do let us know in the comments below. Comparing made easy by BestPriceOn, hope you have come to the right choice after reading this article! Previous article See how Samsung’s upcoming Galaxy Note 8 looks before its official unveiling!